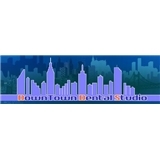 Downtown Dental Studio (New York) - Book Appointment Online! Downtown Dental Studio is dedicated to helping patients achieve the sense of wellbeing and increased confidence that a healthy smile can bring. We provide personalized and comprehensive dental care in a relaxed, patient-friendly setting, individualized care in a supportive, comfortable environment. Conveniently located in Downtown Manhattan, the Dental Studio is easily accessible by public transportation. This was my first time visiting. Everyone was very professional, helpful with insurance, and quick. I was nervous about my appointment and they were very compassionate. My friend is considering changing her dentist after coming with me to my appointment.